The Humanist Party is an organism that is part of the Humanist Movement. The Movement first appeared on the 4th of May 1969, with a public presentation by its founder, Silo, known as "the Harangue of the Healing of Suffering", given in an outpost in the Andes called Punta de Vacas, close to the border between Argentina and Chile. Other organisms to emerge from the Humanist Movement are the Community for Human Development, the Convergence of Cultures, World without Wars and without Violence, and the World Center of Humanist Studies. The Humanist Party was created in mid 1984 by the Secretariat of Social Affairs of the Community for Human Development and its first International Congress was held in Florence in 1989. The proposals of the Humanist Party (1) start from the need for liberty that we experience as human beings and aim towards social transformation and overcoming of violence that, in its different forms, generates suffering and contradiction in individuals and peoples. Human beings have the capacity to transform the world and themselves, thanks to the intentionality of their consciousness, advancing and accumulating historical achievements. We are born into a social and historical environment that imposes conditions within which we develop our existence and among which, we must, necessarily choose. In turn, this generates new conditions that are experienced with coherence or contradiction. Contradiction has its personal correlate in the register of suffering. Social contradiction is the product of violence. This violence manifests itself in the action of divesting a human being or human groups of their intention (and certainly of their liberty). The appropriation of the social whole by one part is violence. Personal and social suffering must be overcome by modifying the situations of illegitimate and violent appropriation that have produced contradiction in the world. In the process of growing humanization, human beings direct their intentionality towards nature and society in order to transform the conditions that bring pain and suffering to themselves and others with whom they can identify. This struggle gives continuity to the historical process and meaning to life, as they affirm their intentionality in front of non-meaning and oppression. This intention, which rebels against sickness, inequality and injustice, considers rebellion against death as the height of disobedience before an apparently natural destiny, giving coherence to human life and allowing the projection of its own liberty beyond all limits. The Humanist Party advocates the upholding (or the achievement, where necessary) of a democratic regime as a means of transition from formal democracy to real democracy, in which a real separation of powers, respect for minorities and direct democracy can be guaranteed. It rejects the violation of human rights, the use of violence as a means to resolve conflicts and the concentration of power. Regarding its methodology of action, Humanism is governed by nonviolent action. At the same time, it denounces all forms of violence: physical, economic, racial, religious, sexual, psychological and moral. We aspire to a Universal Human Nation, in which the enormous human diversity of; ethnicities, languages and customs, localities, regions and autonomous territories, ideas and aspirations, beliefs, atheism and religiosity, will all converge. In coherence with this aspiration, the Party can count on a worldwide federation which allows it to articulate positions and campaigns of international scope, maintaining autonomy and creativity in different levels of action down to the social base where it has its roots. Within our proposals at a worldwide level we highlight, due to the urgency: the task of nuclear disarmament, by alerting the whole of humanity of the need for it and by generating a consciousness that demands it; the immediate withdrawal of invading troops from occupied territories; the progressive and proportional reduction of conventional weapons; the signing of non-aggression treaties between countries; and the renunciation by governments of the use of war as a means to resolve conflicts. The Humanist Party denounces the ecological catastrophe and its promoters, namely big capital and the chain of destructive industries and businesses which are the offspring of the military-industrial complex. It highlights economic violence as the cause of suffering in people, especially that which is due to the concentration of speculative financial capital. In this sense it advocates for tax reforms that give incentives to the progressive distribution of wealth and new cooperative models of self-management and co-management that give coherence to the relationship between capital and labor, increasing productivity and avoiding the diversion of resources to speculation. Likewise, it advocates the creation of an interest-free public bank which will help to acquire these objectives by avoiding the illegitimate concentration of resources and power currently in the hands of present day banks. Different forms of discrimination are intertwined with economic exploitation and acquire a violent character. The Party highlights the violence that is specifically exercised against women and young people; who have historically been discriminated against, together with the discrimination exercised against other human groups which are excluded for economic, racial, cultural or religious reasons. The Party advocates the decentralization of political power down to the base of society, extending guarantees of respect for minorities and making effective the principle of equal rights and opportunities for all. Universal access to free, high quality Education and Healthcare at all levels is the priority for the Party. The Party upholds the principle of choice as the concrete political expression of liberty and, thus, it struggles against all forms of authoritarianism and economic, organizational and ideological monopolies. • Transparency in the political procedures employed. • Thesis (amplification of the Principles), approved by the First Congress of the HI ( Florence , 1989). • Basis for Political Action , approved by the First Congress of the HI and updated with the proposals for political action in this document. • Universal Declaration of Human Rights , approved in 1948 by the United Nations, and adopted by the Humanist Party in the First Congress of the HI ( Florence , 1989). • Recommendations by the coordination table of the First Congress of the HI ( Florence , 1989). • The Book of the Humanist International (Compilation of documents, 2000). • Letters to my friends, Silo, Collected Works, Vol. I . • Orange Books (analysis and proposals for action by national parties). • "Beyond Capitalism, Mixed Economics", Guillermo Sullings, 2000 . • The End of Prehistory , Tomas Hirsch. Our party is defined as the Humanist Party International , because the process goes fundamentally towards planetarization, beyond the intermediate stage of regionalization. This international party must have a worldwide strategy, shaped in objectives, plans, campaigns and positions of international scale. In this sense the national parties, within the broad degree of autonomy to develop in each country, will be part of an International Federation of Humanist Parties, participating in joint planning and actions. The participation of all members of the party in decision-making will be assured through the practice of direct democracy at all levels. The action fronts, orientated towards social conflicts that work within the organizational structure of the party, will contribute to its growth. In this sense, it will be fundamental to count on a dynamic, open, participative and motivating organization that facilitates the inclusion of many people, above all young people, women, technical experts and social leaders, in the framework of a high-level political project. Joint activities must be economically sustained by the contribution of party members. The basic organizational nucleus of the organism will be Base Teams that operate in a specific neighborhood, district, educational center or workplace. It is from this base that the party must be organized and developed. The Humanist Party will be organized at all levels in accordance with this criteria, with their corresponding adaptation to the legalities of each country. A full member is someone who is genuinely interested to work in the party, someone who knows about and is in agreement with the thesis and basis for political action, someone who participates in an activity or function, and who disseminates the proposals and ideas of the party. A full member is someone who is concerned with the development of the party and contributes to its financing by paying the annual membership fee which is established in each country. A supporter makes no commitment; they participate occasionally and receive information. Only full members have the right to participate in internal elections, to vote and to be elected, and to participate in the consultations that the Party may carry out in order to take relevant decisions. These form the basic structure of the party. Their members apply themselves to an action front, operating on a particular conflict at a local or city level, in universities, workplaces, etc., and through this work they are in contact with people, gathering supporters, mobilizing, clarifying, debating, making demands of authorities and promoting concrete actions. They also work in functions that are necessary for the whole and are concerned with achieving and maintaining the level of supporters and members necessary to fulfill the legal requirements in the district they work in. In times of elections they prepare local proposals, present candidates and make propaganda for the party. These teams can be formed through the initiative of one or more persons. The initial reference of a team is the person who formed it, but on achieving a certain level of development the choice of contact person between this team and other instances of the party must be subject to a vote. If someone sets up many teams, or from an initial team new ones multiply, there could possibly exist a certain reference in the person who helped to set these new teams in motion, however no person will have an organizational relationship with more than one group. Every team will be formed of a certain number of full members; those party members who pay their annual membership fee, and thereby have the right to choose not only the contact person for the team, but also the various functions at a national and international level through a direct vote, and to decide about relevant party issues also through a vote. Every team could have a large number of supporters as a consequence of their permanent action in the environment, but only full members will be able to participate in the decisions of the party and in the functions that are deemed to be necessary. Its responsibility will be the planning and promotion of national policy strategies, as well as coordinating the implementation of international activities in each country. It will be responsible for giving a common strategic framework for all the party´s action fronts, generating spaces for interchange and coordination in order to strengthen their growth and multiplication. It will cover all the functions of national scope (General Secretary, Organization, Relations, Press, Capacity Building , Dissemination, Legal, etc), with people who have been elected in a direct vote by full members. In order to have a more dynamic functioning it is recommended that among all the functions there is a triad of coordination that will be able to resolve certain issues, without bureaucratic deliberations. It will prepare the analysis of the national situation and prepare positions at this level. It will administer the funds that correspond to the national level, in accordance with the agreed priorities and criteria within the framework of a general plan for a two-year term of office. It will inform people widely about the destination of these funds. It will make relationships with other parties at a national level, and possible relationships with government or other organizations. It will be in permanent contact with the organization of the International Party, in order to implement worldwide strategies. In principle other organizational instances will not be created, as everything will be planned and implemented though the base teams, in coordination with the planning of the national team. If due to legal requirements and administrative divisions within a country it is necessary to have intermediary organizational levels (city levels, county, provinces, regions, State, etc.) these intermediary levels will be, from the internal point of view, ad-hoc functions which respond to certain circumstances, but they will not be de-facto decision-making levels. In each country they will evaluate if, due to a great quantitative and geographical growth of the party, intermediate decision-making levels become necessary. 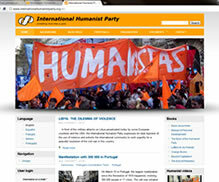 The Humanist Party International will be constituted as a Federation of Humanist Parties. It will be coordinated by an International Coordination Team, elected through a direct vote by the full members of all member countries, assuring the participation of minorities. From this international organization, information at a worldwide level will circulate, campaigns about worldwide themes will be promoted, the development of the party in regions or countries where it does not exist will be planned, and the support given to a particular country under specific circumstances will be defined. It will also make an analysis of the worldwide situation and will prepare positions at an international level that in many cases will also be useful at national level. Independently of the requirements in each country for legalization, national parties can be included when they count on certain minimal conditions of organization, to be established by the Promotion Committee. Besides the national humanist parties that make up the membership of the federation, special importance will be given to the ambit of the Humanist International as a non-organizational space of convergence with other parties, organizations and individuals who adhere to humanist proposals. This space of convergence, promoted by the Humanist Party International but open to wide participation, will be able to organize international forums, gatherings and all types of interchanges. 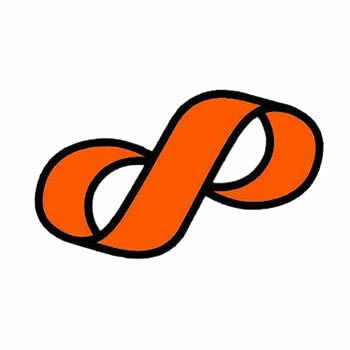 In the international scheme of a Federation of Humanist Parties, every national party will be autonomous in their national planning, but coinciding within a worldwide strategy. And in turn the national scheme will be composed of base teams with autonomy to implement their activities, but coordinated within a national ambit and plan. The direct election by the full members of functions in the three levels will ensure that the general direction will be that which the majority of members support. Each national party will coordinate with the international organization through their contact in the International Coordination Team. The base teams will coordinate with the National Team through their contact in each Base Team. The sustaining of party activities at all its levels must be through the contributions of all the full members. Therefore annual membership fees will be collected in which every member will have to contribute an amount relative to the average salary in the country in which they live, leaving the National Promotion Team of each country to determine this amount. The funds gathered will be distributed among the base, national and international levels, in a proportion to be established by the International Coordination Team. In order to raise funds for other eventualities, informal campaigns may be carried out in which supporters may also participate. In these cases and in those places the amount of the campaign will be established (never surpassing the amount of the annual membership fee) and the funds will be applied locally. The payment of the annual membership fee will be the requirement for the member to have the right to vote and participate in the party´s decisions. In those countries in which the party receives State funding, those funds will not be destined to the internal functioning of the party in order to avoid dependence on the State. In every country they may evaluate, in accordance with the legislation to which they are subject, if such external resources can be targeted to dissemination of electoral campaigns. The Promotion Teams will elaborate the appropriate procedures to ensure the correct use of funds based on prior budgeting and the circulation of information about what the funds were used for, and the submitting of annual accounts. It will be important for the development and positioning of the Humanist Parties that they strengthen their identity. Nevertheless, if in some cases the possibility to make an electoral alliance is considered, the decision must be subject to the support of the majority of full members, in other words it must be the subject of a referendum in a direct vote. In any case, any electoral alliance must always be framed within certain ideological parameters and principles in affinity with Universalist Humanism. Any exception to this which could affect the whole may be challenged by a higher level. For example, a city, provincial or county alliance with an entity that is opposed to our principles may be revised and challenged by the National Team. And the same could occur with an alliance at a national level that may be evaluated and challenged by the International Team. With the party´s planning, electoral campaigns take on vital importance as it is through them that greater positioning can be gained. Prior to humanist candidates being elected, there should be an agreed plan about how to work together regarding the steps that these elected candidates will take. And the activity of elected candidates, as much as the activity of the teams that work with them, should be carried out in accordance with this plan, with the necessary operational autonomy that is required in daily activity. The Promotion Teams can evaluate if any requirement in terms of length of party membership be included in order to present oneself as a candidate at particular levels. The prime interest of these elected candidates must be to produce demonstration effects and show exemplary behavior, as opposed to the mediocrity and opportunism that reign in traditional politics. Mechanisms of direct democracy will be used in the cases of electing different functions in the party, as well as for taking relevant decisions that affect the whole. These mechanisms may also employ information technology in the cases where the viability of the participation of all the members can be assured. All posts will be elected and renewable. The Promotion Teams can evaluate possible limitations to the re-election of posts. In the International and National levels, posts will be renewed every two years, and in the Base Teams, every year. All posts will be elected through direct vote by the full members. A contact person of the Base Team will be elected by the full members of this team. The posts on the National Team will be elected by all the full members in that country. The ad-hoc functions, necessary to fulfill legal or electoral requirements in geographic divisions within a country, will be elected by the full members in the corresponding division. Posts on the International Team will be elected by the full members of all countries. And all spokespersons and candidates for elections must be similarly chosen. The Promotion Team will prepare the details of the election procedures to ensure their transparency, effective participation of the full members and the inclusion of minorities in the distribution of posts. The building of the comprehensive party structure will be from the base to the top and not the inverse. First base promotion teams will be formed and then the national promotion teams. Once this is done, internal elections will be held in which all posts in all levels will be elected. (2) The definition of the implementation details remains the responsibility of this team, such as calendars with dates for economic campaigns and elections, parameters to define the amount of the annual membership fee, distribution by coordination level of these funds, specific functions of the Worldwide Coordination Team, definition of the official logo, etc.